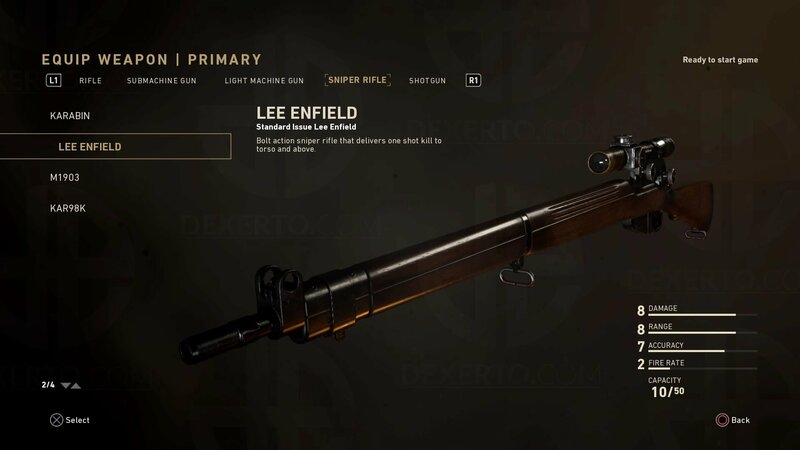 Next on the list is the Lee Enfield sniper rifle. 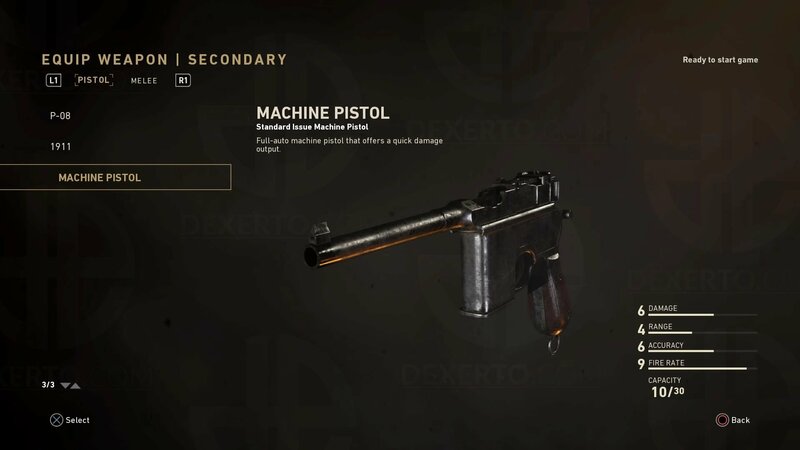 This weapon is commonly used in the War game mode as it has excellent range and packs a powerful punch. This weapon has been known to 1-shot kill enemies if hit in the upper torso or head. The rifle has an insane 10-round magazine (as most rifles of this class usually carry 5) which gives the player a lot more opportunities to reach out and touch the enemies. Like most sniper rifles, this is a bolt-action weapon which means it is a little slow to fire, but it more than makes up for this deficiency in the amount of damage it deals. Rounding out the third spot on this list is the BAR assault rifle. This weapon is the pride and joy of anyone using the Infantry class. This beast can cut down almost any oncoming assault with a high rate of fire, mid-long range, and a 20-round magazine. A player that sits looking into a choke point during an objective-based mission would benefit greatly from the sheer stopping power of this rifle. One of the options available to the Infantry-class is an attachable bayonet which makes this weapon just as effective for close range as well as longer. 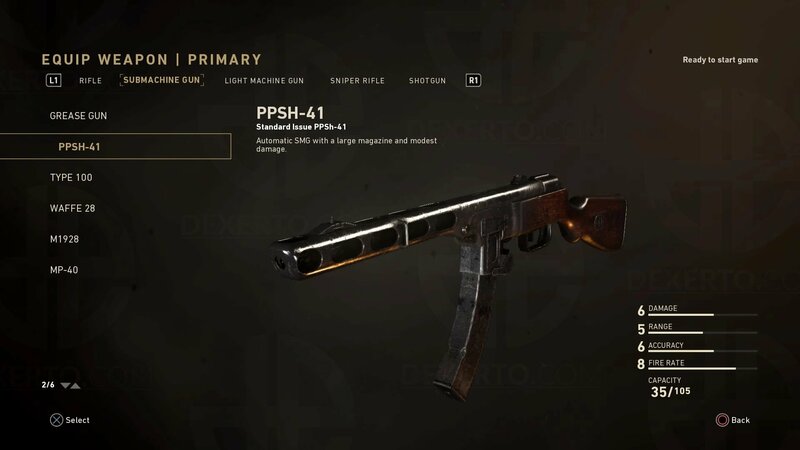 Next to the top spot is the PPSH-41, more commonly known as “The Tommy Gun.” Players must first unlock the drum magazine through gameplay, but once acquired, this weapon keenly resembles the iconic favorite of 1920’s gangsters. While it does less damage per shot than the BAR, it more than makes up for it with the rate of fire. This fully automatic rifle is best for close quarters as this weapon handles very similar to its namesake: short range (for accuracy) and high rate of fire. The Airborne class favors this weapon because they are typically deployed behind enemy lines and the play style demands close-quarters combat. This weapon also features a suppressor which also makes this weapon ideal for the Airborne. 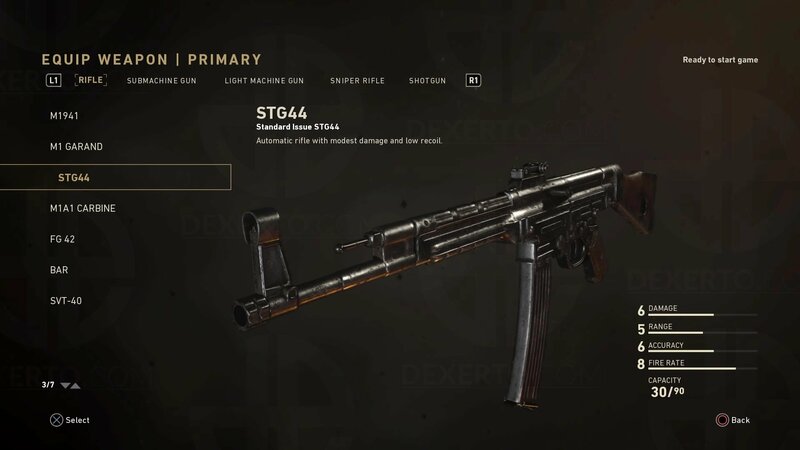 Finishing out the list and number one is the STG-44. Overall, the community loves this weapon. It has a high rate of fire, low recoil, and respectable damage per shot. If a player has the choice between the BAR and this rifle, this one takes the cake. Infantry prefer this whenever possible as a game-changer. 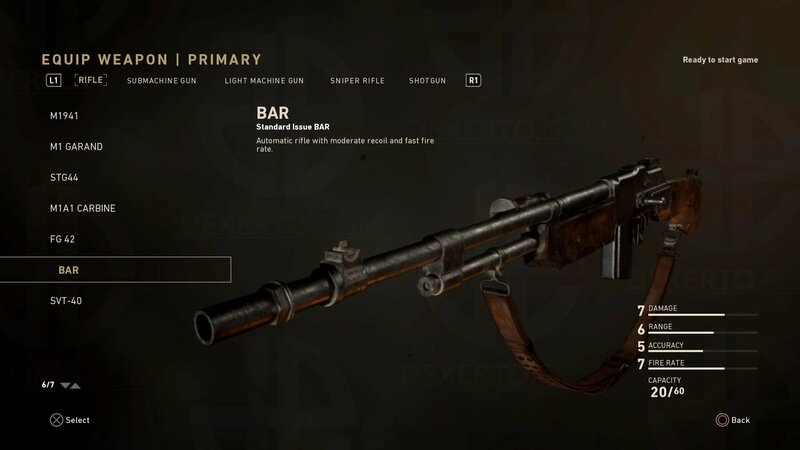 During a round of capture the flag, the team that is down by 3-4 points could easily turn the tide in their favor by switching to this weapon. It was the commonly used weapon during the beta test and remains king after launch. In conclusion, these weapons are the general mainstay of the majority of the Call of Duty community. What makes these weapons truly unique to the individual player is the ability to customize each to however the player chooses. Excluding the BAR, all of these weapons have an upgraded variant which grants the player additional bonuses per kill. Most of the weapons are fairly substantial in their own right (some players prefer the shovel! ), but these particular 5 are the most commonly used and loved. These rifles should be used by both new and veteran players to ensure their path to victory!